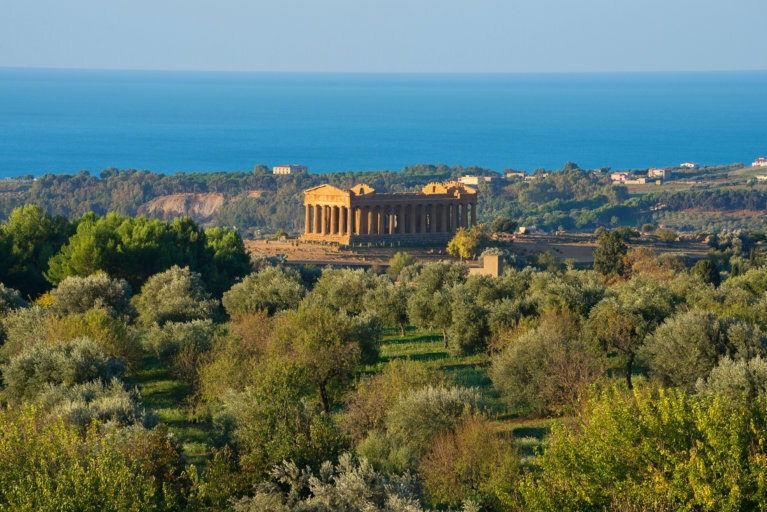 From Greek temples and Byzantine facades, to Roman arches, Norman churches and Baroque palaces, Sicily harbors a fascinating history; 11 civilizations have left their mark throughout this enchanting island. 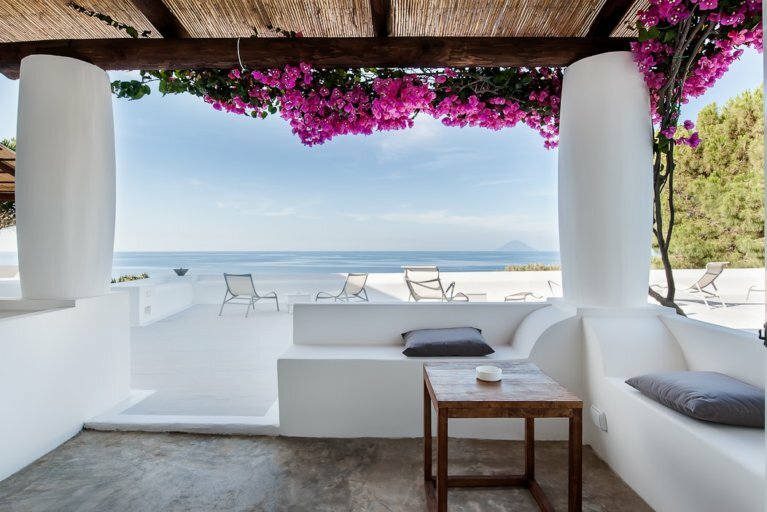 Bask in family-driven traditions and hospitality, bike through quaint villages, swim in the turquoise waters of the Aeolian Islands, and hike through the ancient trails that reveal breathtaking views of active volcanoes. 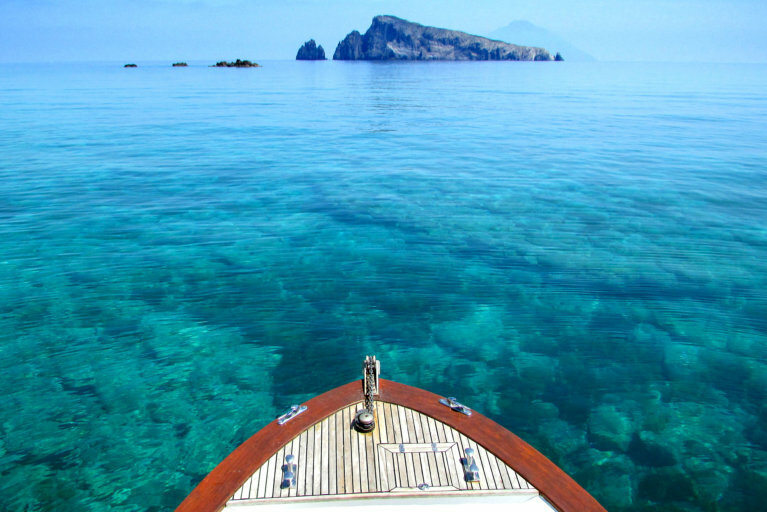 Please note: this private Sicily tour is an example, as all of our luxury journeys are custom-made. You will be greeted in Palermo by your personal guide and taken by private transfer to your hotel located in the heart of the city. Later, enjoy a private tour of the city highlights. Palermo is Sicily’s capital and is most known for its distinct atmosphere. Its strategic position in the middle of the Mediterranean brought a variety of invaders including the Phoenicians, the Carthaginians, the Greeks, the Romans, the Saracen Arabs, the Normans, the Swabians, the French, and the Spanish Bourbons just to name the most influential. The result of this quilted history is evident today in the range of architectural styles, and the intriguing fusion of ingredients used in many local dishes. 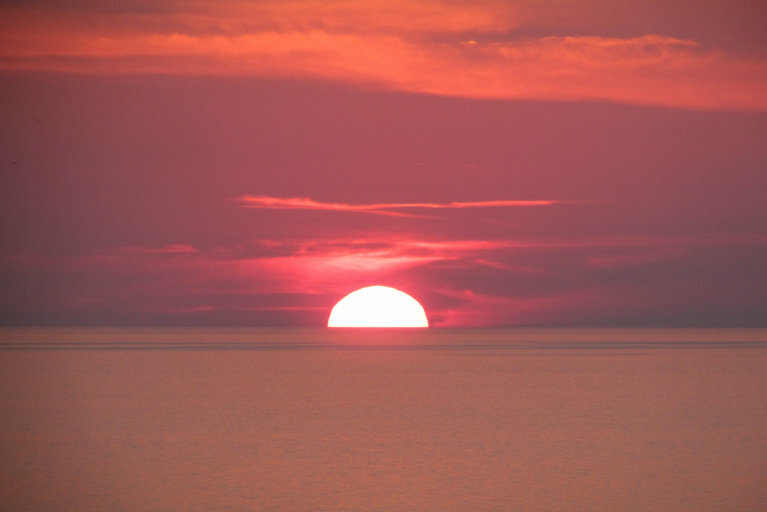 In the evening, we will take you to the city’s best restaurant for a traditional Sicilian meal. 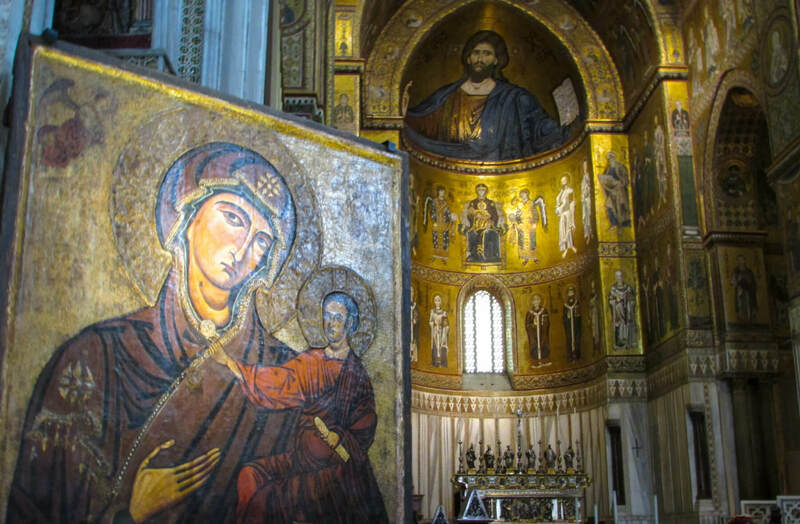 Visit the village of Monreale where you will see the famous Norman cathedral, well-known for its Norman architecture and for the vast Byzantine-style frescoes which cover the interior. Later, continue to the Regaleali Estate in the heart of the Sicilian countryside where you will have a delicious traditional lunch prepared for you. 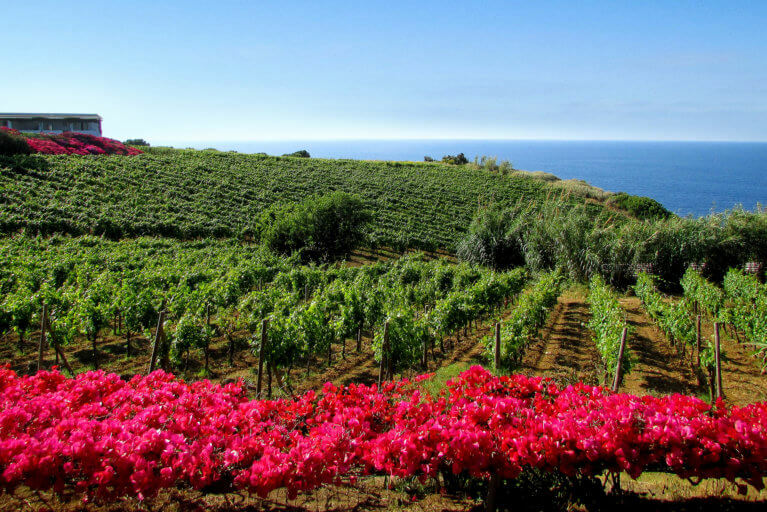 The estate is a restored 18th-century farm villa built by Sicilian aristocracy and contains almost 1,000 acres of vineyards. The area is characterized by greenery that stretches over several hundred acres through the Sicilian interior between Palermo and Caltanissetta to the Sclafani Bagni hills. Afterwards, you will have the opportunity to explore the hillsides of the property and the surrounding area. Continue to Villa Athena, your hotel in Agrigento, where you can rest at leisure. The following day, you will visit the UNESCO awarded Valley of the Temples, which is conveniently located in front of your hotel. This splendid archaeological park consists of eight Greek temples built between 510 BC and 430 BC. In the afternoon, visit the Scala dei Turchi, a dazzling white rocky cliff that meets the sea, rising 50 meters above sea level. Its gleaming color is eye-catching enough, but what makes it all the more remarkable is that it looks like a staircase carved by man, even though its shape is entirely natural. It was formed by marl, a sedimentary rock with a characteristic white color. It lies between two sandy beaches where you can swim, and is accessed through a limestone rock formation in the shape of a staircase, hence the name. In the morning, begin your journey via private transfer to the Val di Noto (the Noto Valley, also known as the Baroque Valley). Begin by visiting Ragusa, one of the most picturesque towns in Sicily, for a sightseeing tour on foot followed by a delicious lunch. 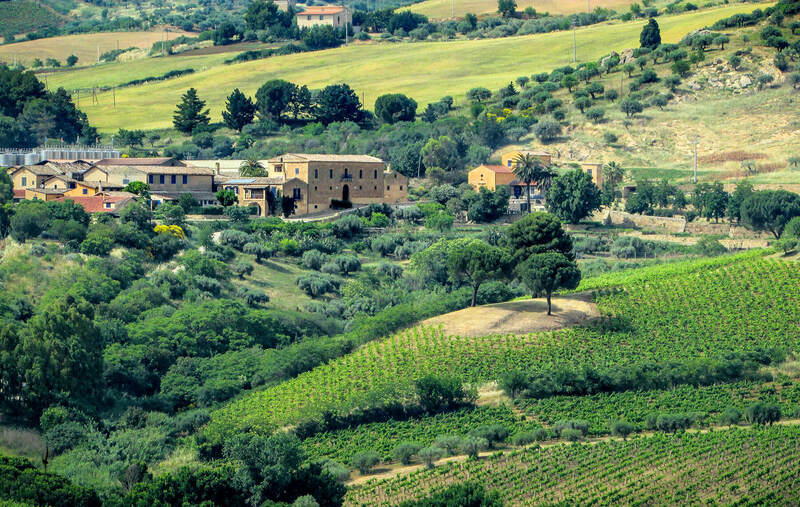 Then, continue your journey through the Noto Valley and arrive in Modica where you can enjoy a private chocolate tasting in an iconic patisserie dating back to 1880. This desert shop still uses the original Aztec technique brought to Sicily by the Spaniards in the 16th century to create its delectable chocolates. 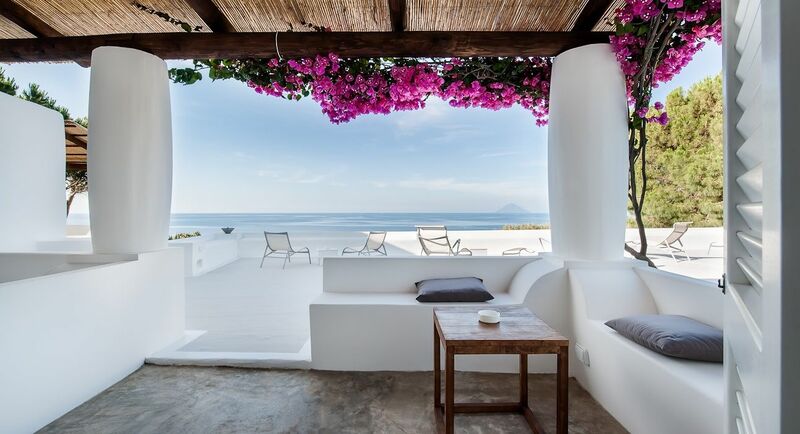 Afterwards, continue to Noto where you will check-in to your hotel located in the city’s beautiful historic district before enjoying a traditional Sicilian dinner in town. 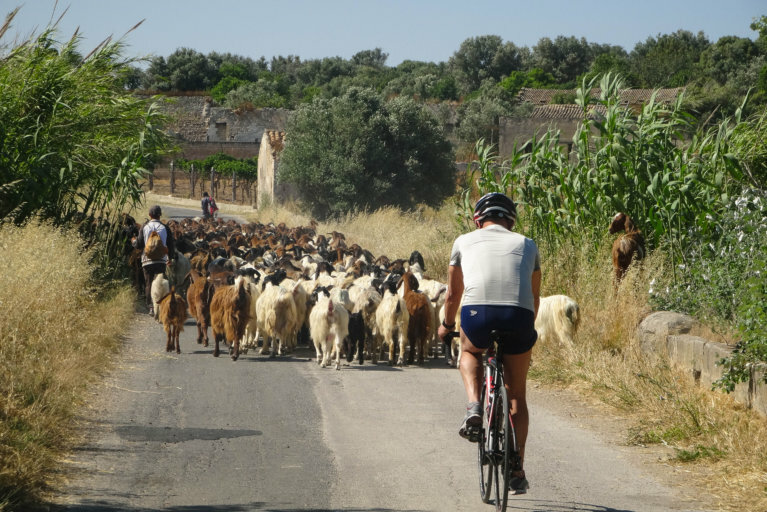 The following morning, depart on a private biking tour for the fishing village of Marzamemi with your personal guide. 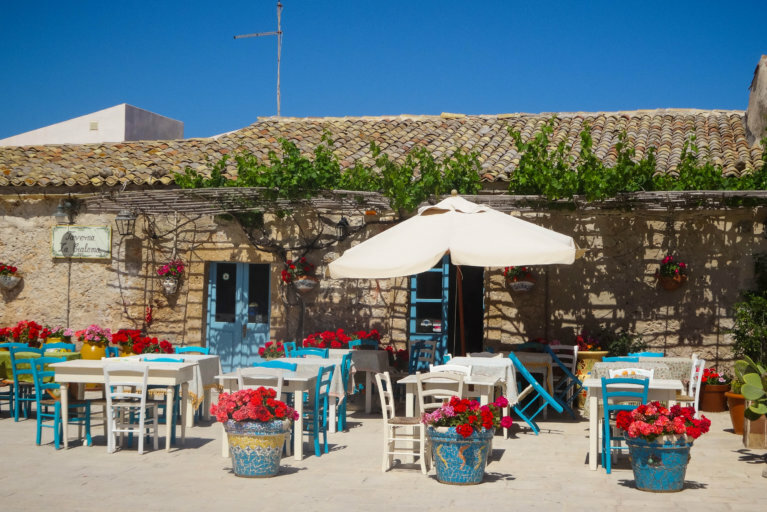 As you bike through the Sicilian countryside, take in the beautiful seaside views and agricultural farms situated around Marzamemi, a town established by the Moors in the 10th century and once known as “Marsà al-hamam” or Turtle Dove Bay. The town is famed for its artisanal fishing, and it produces a variety of seafood delicacies. Meander through the streets that wind in-and-out of the main plaza offering glimpses of the turquoise sea to the east and north. Following lunch in Marzamemi’s main square, return to Noto for a sightseeing tour of the old city in the afternoon. 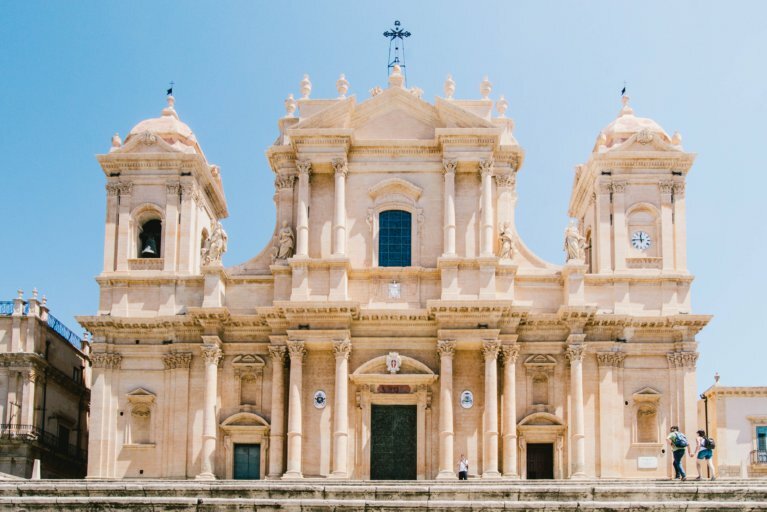 In 1693, Noto was completely destroyed by an earthquake and was later rebuilt from scratch on a new site, about 10km from the old center. Intent on creating a new town based firmly on Baroque ideals, three architects, Labisi, Sinatra and Gagliardi contrived a city with a perfectly proportioned urban centre whose parallel lines provide myriad panoramas. In the evening, enjoy a delicious dinner in Noto before continuing to a private dessert tasting with a world-famous granita chef in the heart of the city. 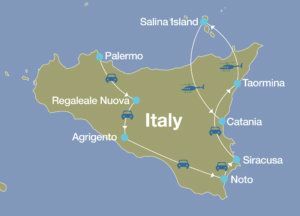 Your personal host will take you via private transfer to Siracusa. Upon arrival, enjoy a walking tour of the highlights of Ortygia Island. 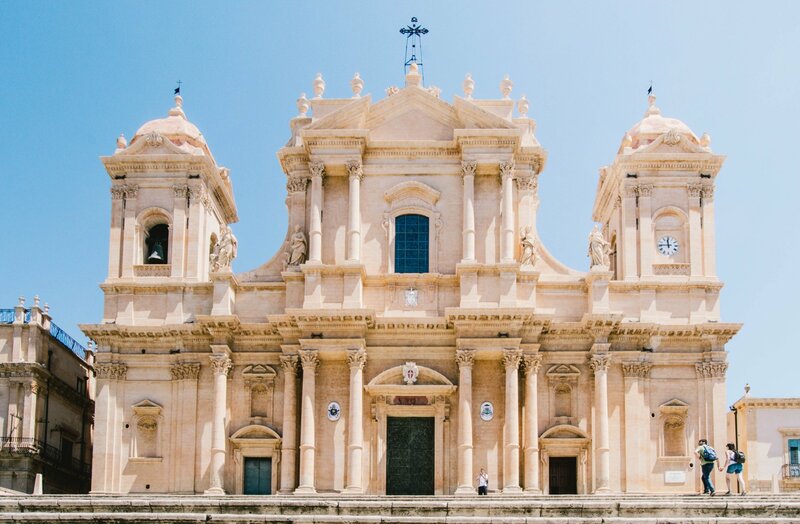 Learn about Siracusa and Ortygia’s deep history, known for its varying architectural styles which encompass Greek and Roman remains, medieval Norman and Baroque buildings. In Ortygia, enjoy a private cooking demonstration by Chef Fiora Piccione in her apartment – a truly authentic experience. 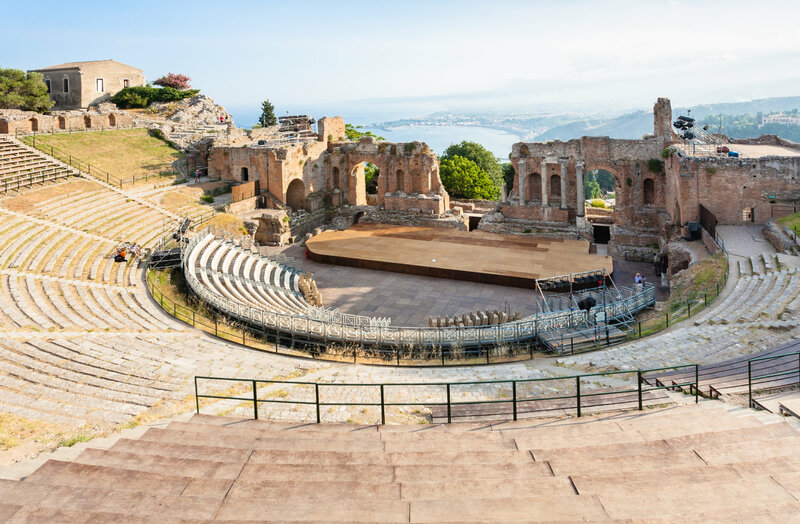 Relax in your luxury hotel in Taormina before an evening show at the Greek Theatre, one of the oldest theatres in the world. Built in the 3rd century BC, the theatre was remodeled by the Romans and later destroyed by the Moors and is a testament to Sicilian resilience. 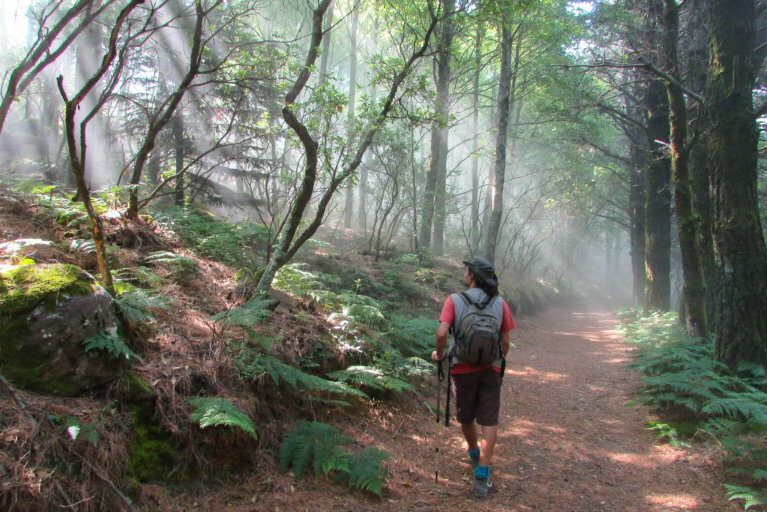 The next day, head to Mount Etna for a beautiful 3-hour hike to the Silvestri craters on the north side of the volcano. Mount Etna is one of the world’s most active and highest volcanoes in Europe. The cone of the crater rises to 11,000 ft above sea level and has been designated a “Decade Volcano” by the United Nations and added to the list of UNESCO World Heritage Sites. Your hike will begin near the Rifugio Sapienza on the north side of the mountain where the two extinguished Silvestri craters that appeared after an eruption in 1892 are located. Ascend to the observatory with a view of 9,000 ft high. 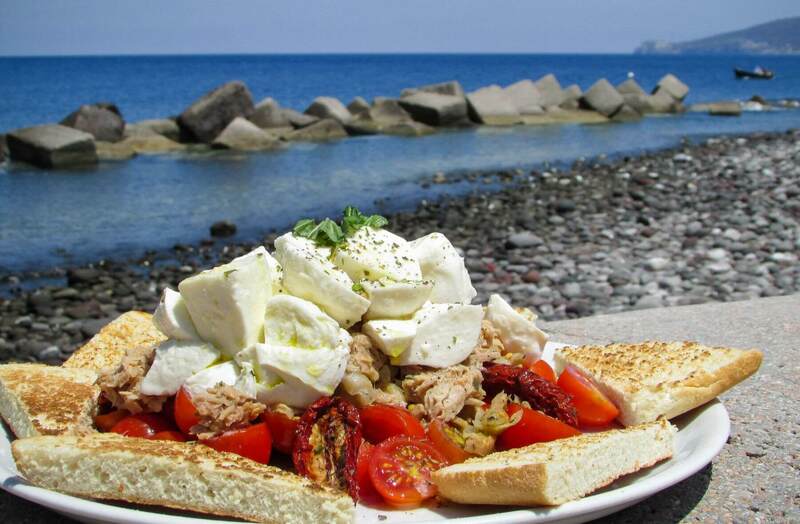 Later, enjoy a delicious lunch at a nearby vineyard, which includes a wine tasting tour. 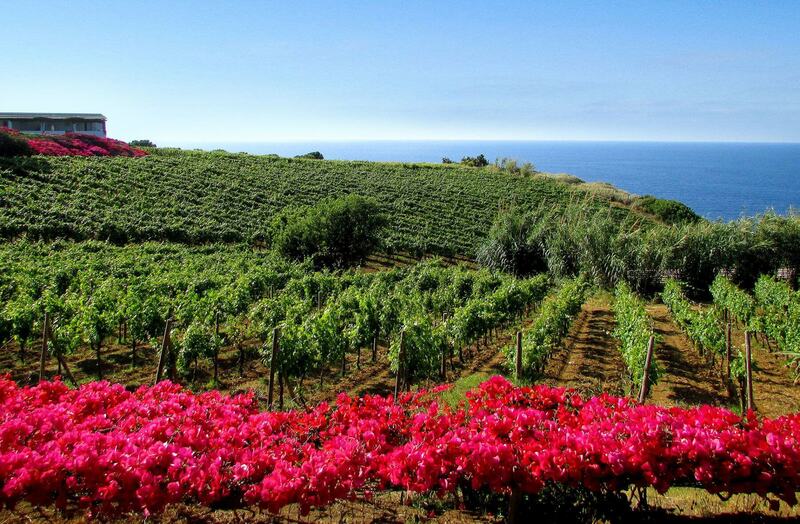 The mineral rich soil surrounding the Etna volcano produces some of Italy’s most interesting varieties. 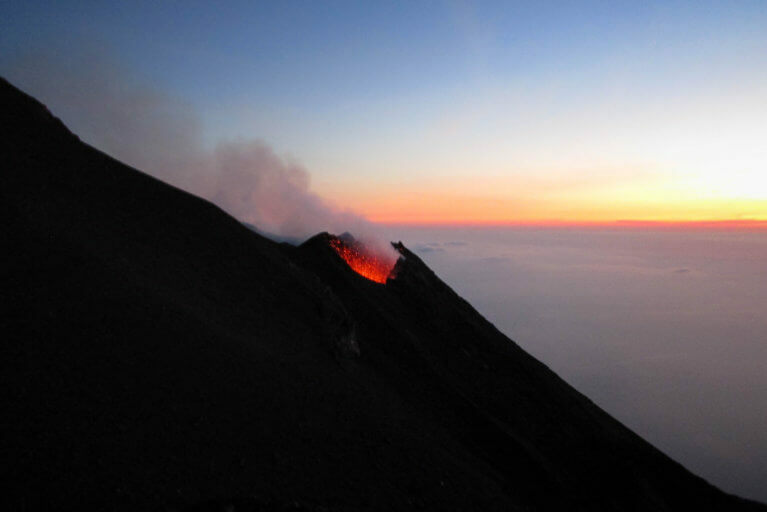 Etna’s wine producers are experimenting with vineyard sites further and further up the volcano’s slopes, to gauge the effects of the richer, blacker soils and increased altitude. Some might say this is tempting fate, but the cachet of owning high-altitude vineyards is growing, and early results from these vines show promise. Return to your hotel to relax and later explore the city’s highlights with your expert guide, including the Villa Comunale Gardens. In the morning, take a private helicopter to Salina Island, one of the seven Aeolian Islands in the far south of Italy, where you will explore the volcanic landscape through breathtaking hikes and peaceful boat excursions around the area. On your first afternoon, visit the village of Pollara, made famous by the movie Il Postino where you can watch the sun set over the horizon. 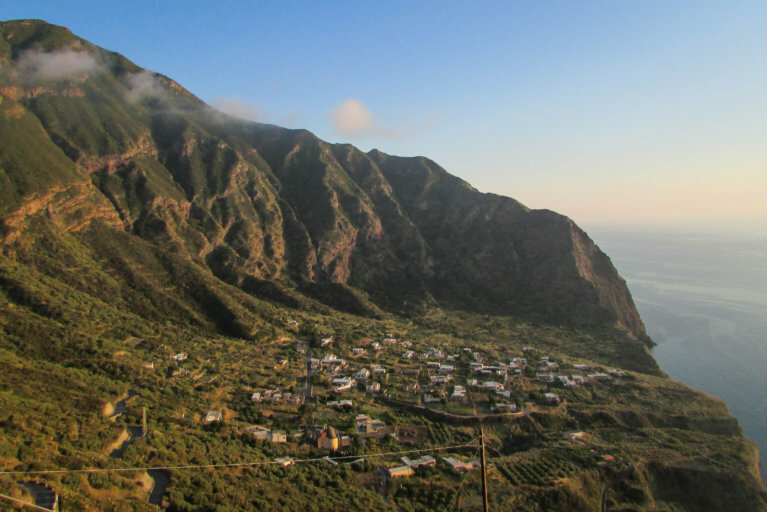 You will be captivated by Salina’s raw scenic beauty with dramatic volcanic cliffs plunging into the sea, sleepy villages amidst verdant mountains, colorful fishing boats on pebbly beaches, hills covered in wild capers, and vines heavy with grapes for sweet malvasia wine. During your stay in Salina, you will have the opportunity to explore its natural scenery and hike to the midpoint or the top of the extinct volcano, Monte Fossa delle Felci, the highest point on Salina Island. 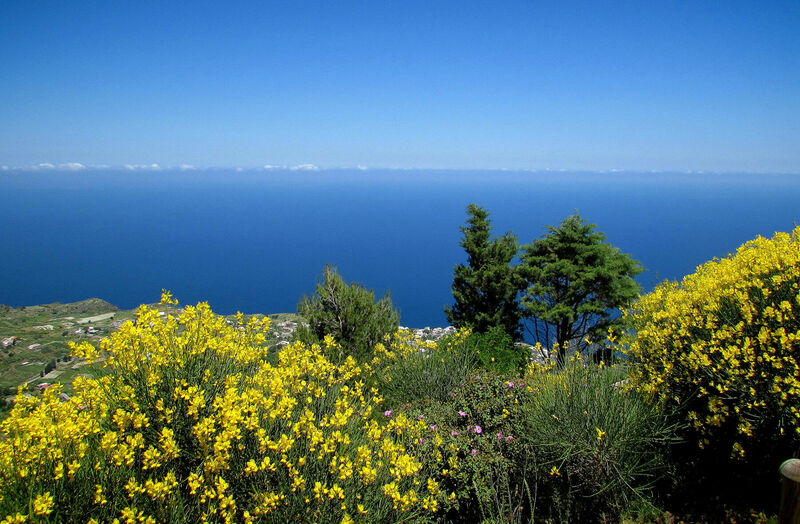 Starting in Pizzo Capo, you will witness varying types of vegetation that develop into evergreen forests reminiscent of the Alps with ferns, poplars, chestnut trees and other typical Mediterranean flora. 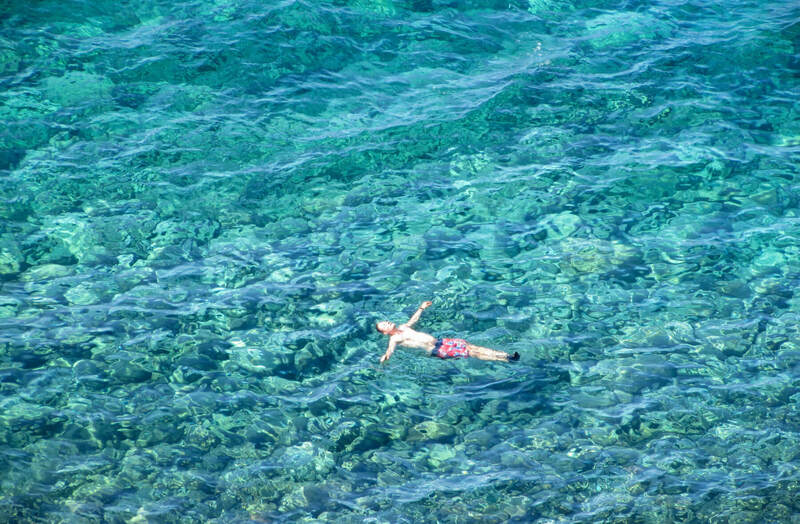 Witness sky-high views of the entire region and notice the color of the water change from a lighter to darker blue as it meets the sky. 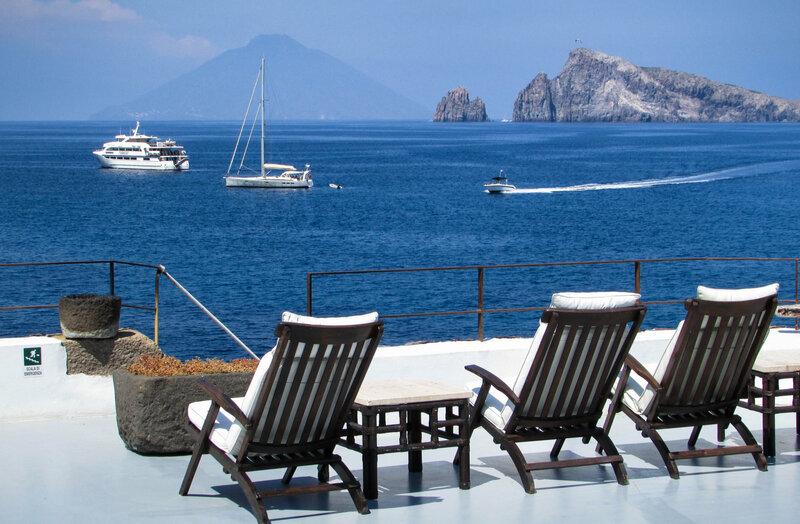 During your trip, go boating to the nearby island of Panarea where you will have access to secret swimming spots on the way, and visit the volcano of Stromboli Island, one of the most active volcanoes in the world. 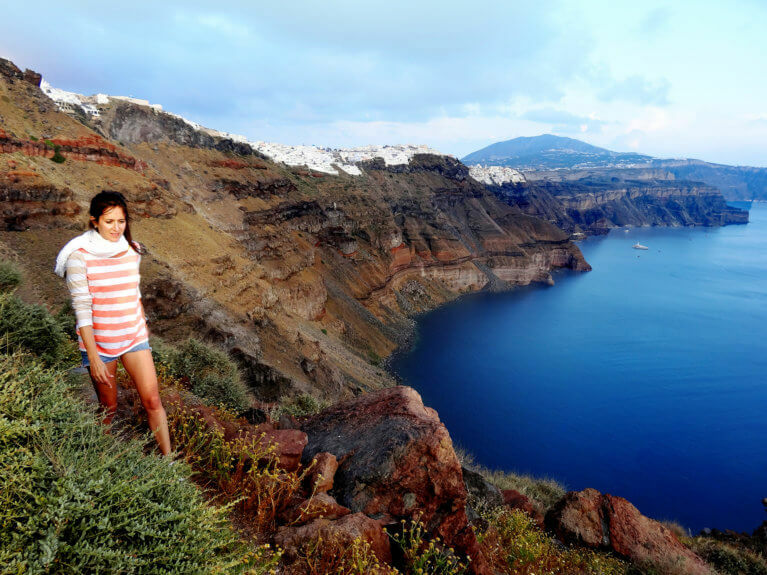 There you will hike the rugged landscape, ascend the volcano and watch it erupt with all its elemental power at sunset. The volcano is covered in lush, green vegetation and provides some of the best views in the world as the sky blends in with the water at the horizon. 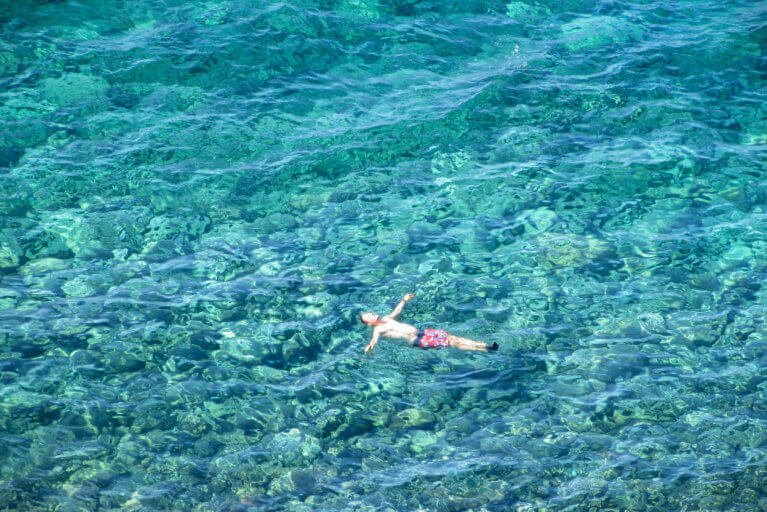 On your last day, take a private helicopter to Catania Airport in time for your flight back home. 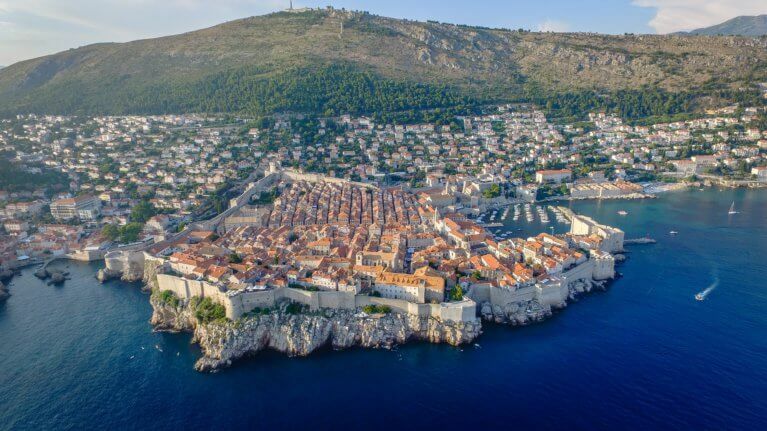 Enjoy the purest waters in the Mediterranean against a backdrop of red-roofed cliff-top towns and swathes of forested hillsides in Croatia and Montenegro. 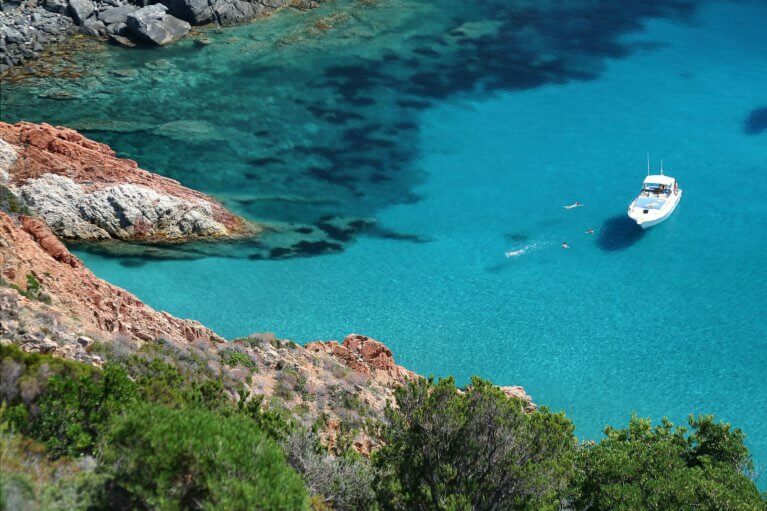 Experience exciting outdoor adventures, beautiful drives through breathtaking scenery, and yachting on calm waters in beautiful Corsica. 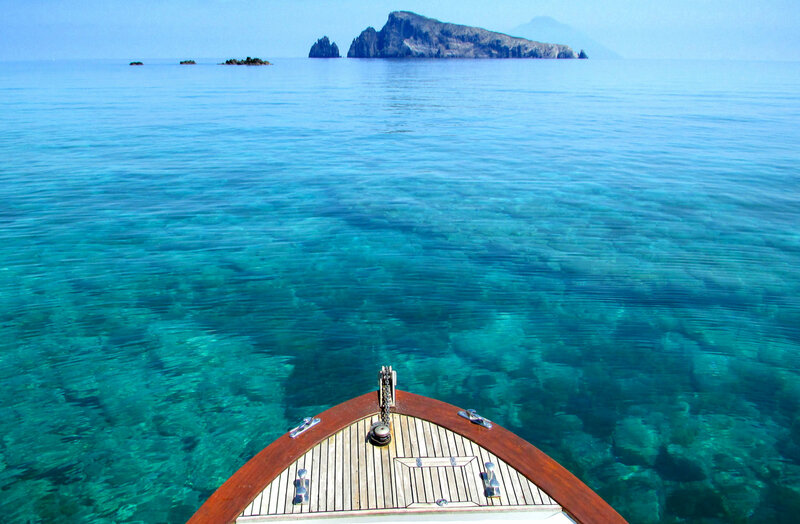 Continue on to Greece, for a spectacular journey into the cradle of Western civilization by private helicopter and yacht.